Property listed by Homestead & Ranch Real Estate. UPGRADES GALORE! You won’t believe the quality and pride of ownership in this 2015 Ryland/Cal-Atlantic home in Hometown Kyle! 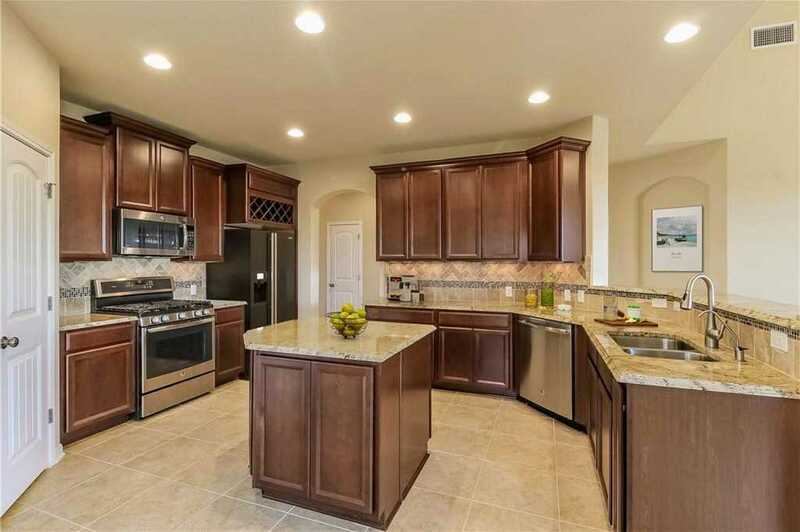 On a spacious corner lot, this 4BR/2.5BA has it all: marble countertops, upgraded cabinetry w/lighting, SS appliances, a beautiful stone fireplace w/specialty wood mantel, tons of natural light, elegant light fixtures, recessed lighting, surround sound in flex space, an RO & water softener system, full gutters, covered front & back patios, & sprinkler system. LIKE NEW-A MUST SEE! Please, send me more information on this property: MLS# 7436127 – $299,500 – 573 Sweet Gum, Kyle, TX 78640. I would like to schedule a private showing for this property: MLS# 7436127 – $299,500 – 573 Sweet Gum, Kyle, TX 78640.